In addition to their pages dedicated to news about Israel and “Palestine“, the Guardian has a separate Gaza page. In case you wanted to get up-to-date on the most important news in the Hamas-run territory, here’s a snapshot of the Gaza page on June 23. Taking into account two overlapping graphics of the same story, there are four separate reports (and nearly 2500 words) and two videos about the 22-year-old contestant – from a Gaza “refugee camp” – named Mohammed Assaf who competed in (and recently won) a reality tv show broadcast by the Saudi-owned MBC1, called ‘Arab Idol’. Remarkably, you have to go back a full month for a story on the Guardian’s Gaza page which actually focuses on news relating to Gaza that is unrelated to Arab Idol – and even that story, published on May 23, only revisits an incident which occurred 13 years ago. 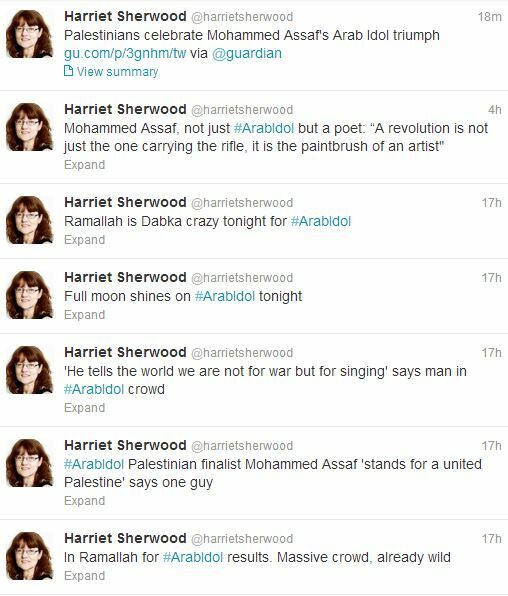 Additionally, the Twitter feed of Harriet Sherwood, who was responsible for three of the four Guardian reports about ‘Arab Idol’, would suggest that the paper’s Jerusalem correspondent can’t quite get enough of the song competition. 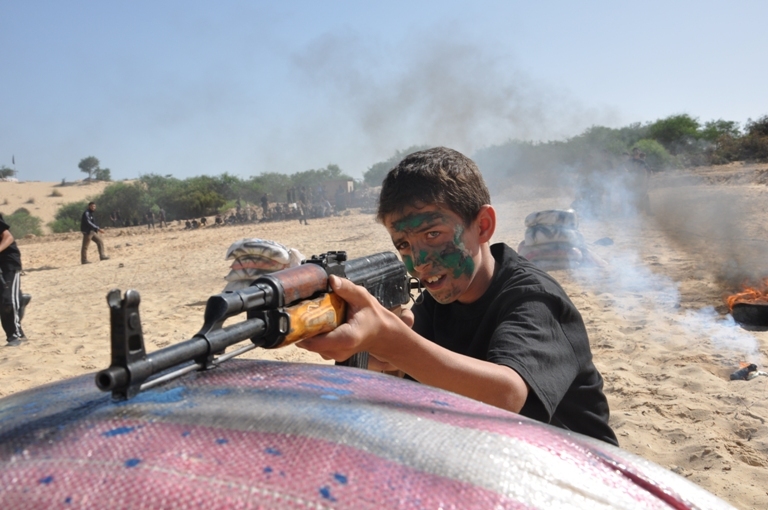 Meanwhile, as we noted in a previous post, save for a couple of photos with misleading captions not even linked to on their Gaza page, the Guardian has ignored news that Hamas and Islamic Jihad ‘trains’ tens of thousands of Palestinian children at ‘summer camps‘ each year on the use of automatic weapons, ‘best practices’ in abducting Israeli soldiers and radical Islamist ideology. Whilst the Guardian has focused on the fate of one Palestinian contestant on an Arab talent show, they continue to bury news about the disturbing reality of life for over a million and half Palestinians whose lives are controlled by a fanatical regime which indoctrinates innocent children on the values of jihad. Anything that will boost the Arab self image!…particularly if it is not of an anti-social nature. Can we think of other prizes and successes that we can acknowlege? Thanks for your comment, but is it really the Western media’s job to boost the Arab self image? In a previous article the use of short images of settlements was criticised as it was interspersed with Peres speaking. 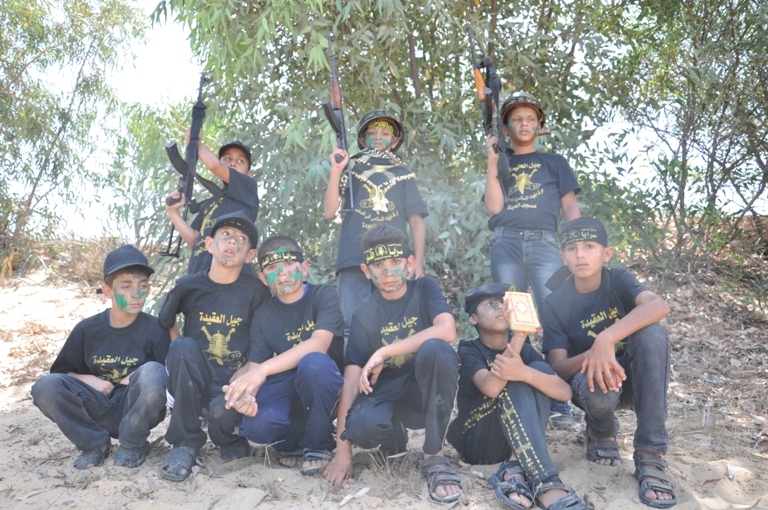 Here a young boys triumph is pictured alongside Hamas . Mohammed Assaf has nothing to do with Hamas. . 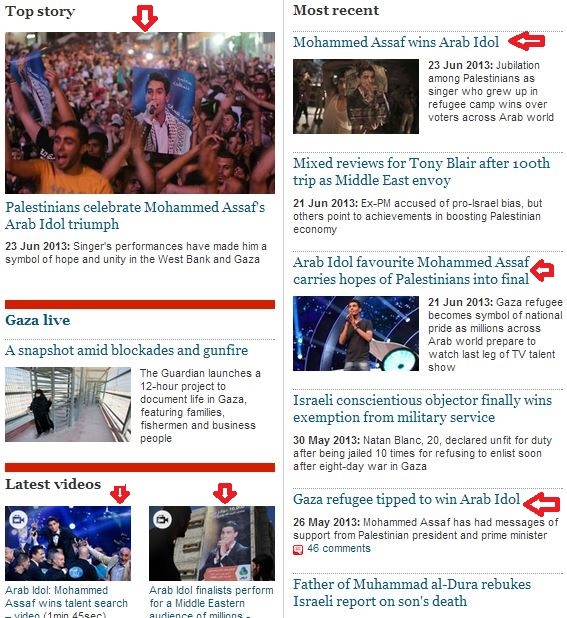 So, in your view, the fact that 4 out of the last 4 stories in the Guardian’s Gaza section were about ‘Arab Idol’ is reasonable and reflects a serious commitment to fairly covering the territory? And this coming from a whiner whose main “contribution” to this blog was to defend the notorious Jew-hater “nick-nack”. In sum, another nauseating hypocrite. You never fail to deliver. and bring a smile. Many years ago Dana won the Eurovision song contest in exactly the same circumstances.It was an awful song Everybody voted for her just to piss off the Brits. A mature blogger would just move on and not try to score points by linking him with a violent organisation. It shows a desperation that is counterproductive. Yes attack the Guardian but to expect it to report news then carefully list all the bad things about Hamas is risible. It was an awful song Everybody voted for her just to piss off the Brits. a) Every song on Eurovision is awful. It’s a prerequisite. b) What was the British connection? c) What relevance does this have here anyway? I don’t think that the media are accustomed to the rising level of nit-picking or these justified cricitisms of thoughtlessness or prejudice. We are long overdue on this score and should not let the devious bums get away with anything at all. They won’t give up easily, nor should we. Mohammed Assaf has nothing to do with Hamas. Correct. But CiFWatch is not claiming or insinuating that he does. The point is (as made by Adam above): why is the Guardian’s current coverage of Gaza all about a talent show singer, while there are more pressing political issues to address? I am afraid it has everything to do with Hamas Rosco Burns .Hamas objected to Assaf taking part in what it considered the whole show “blasphamous”! (see the Times 24 June 2013). He had to plead to take part. This is same lot that abuse children, in case you don’t quite get the connection. As Israelis we have so many successes and the Arabs, from one end of the world to the other, have few. They have been able to brag so far only about awful things. Perhaps this may cosititute the beginnings of things positive for themselves and maybe for us as well. And while you talk of Hamas and Gaza why not mention the following executions carried out today of suspected collaborators with Israel. 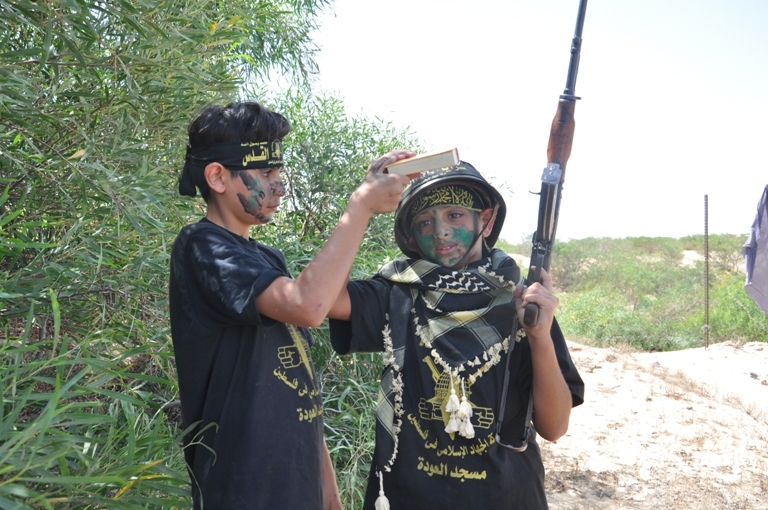 Hamas did not even noted their names. Apologies but the article was only in Hebrew. What the English version will not repeat is that one of the man’s crime was handing the location of launching sites which was in a school. So Hamas admitted they launched rockets from schools. But will the Guardian rather report on this grave matter? No, they’ll rather report on a racist pop competition which will only allow one race to join. Camera exposes Sherwood for the Pallywood liar she is. Hopes for a two-state solution fade as Palestinian official says ‘If we had nukes we’d use them on Israel tomorrow. Harriet Sherwood in Jerusalem Monday June 17, 2013.
comments are the latest in a series of remarks by members of Prime Minister Benjamin Netanyahu’s government against the two-state solution, raising doubts about the prospects of peace talks the United States is trying to renew. . . . But Saeb Erekat, the chief Palestinian negotiator, accused the Israeli government of intentionally undermining U.S. Secretary of State John F. Kerry’s efforts to restart peace talks between Israel and the Palestinian Authority. “These are not isolated statements but a reaffirmation of political platforms and radical beliefs,” Erekat said of the spate of downbeat remarks. “Israel has officially declared the death of the two-state solution.” . . .
“These statements are not only a message to President Obama’s administration, which is exerting nonstop efforts to revive the peace process, but also a clear rejection of efforts to save what could be saved,” Abu Rudaineh said. But Rajoub’s incitement is not dangerous? The Palestinian Authority’s honoring of three terrorists serving 166 life sentences do not raise doubts about the prospects of peace? And none of these incidents, what most Israelis consider “a clear rejection of efforts to save what could be saved” are worthy of Los Angeles Times coverage? Whether you say “double standard” with a British or American accent, it means the same thing. Just look how many streets the Palestinian Arabs have named for child killers. That would seem to be “mad” in the British colloquial sense of wild & crazy and not insane or angry (in US-speak). You’re not going anglo, are you, Adam? What is really sickly condescending about the Guardian’s (Sherwood’s) coverage of this is that basically she is amazed to learn that an Arab from Gaza can sing well. It says so much about her deep belief that these are the wretched of the earth, prevented by a cruel Israel from performing any of the normal human functions. His song was a song that preached against the 2 state solution or against the right of Jews to govern their own state. This is something that Sherwood does not cover in any of her twits or articles.